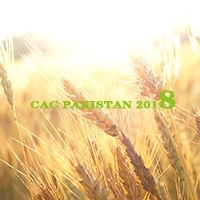 CAC Pakistan 2018 is successfully held in Pakistan economic center, Lahore. For a long time, Pakistan pesticide SC customer is using the old type horizontal sand mill for production, but the old type production mill grinding efficiency can’t catch the development of SC production rate and finish size etc. So many pesticide sc factory is seeking a changing of the horizontal sand mills. CAC Pakistan 2018 will be held in December in Lahore, Pakistan. Pakistan is one of the important agriculture country and the production of pesticide sc and fertilizer is more than before. Root will attend the exhibition and our booth number is B02. We sincerely welcome all the friends in Pakistan to visit our booth. 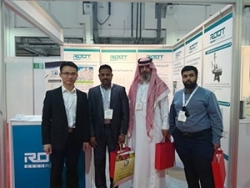 For this exhibition, Root has shown RTSM-0.2BJ​ and RTSM-0.5AD lab formulation research use horizontal sand mill RTSM-0.2BJ is the new design horizontal sand mill especially for the pesticide sc formulation research. It has 200ml small working chamber to allow no waste of material and suitable for making tiny sample for testing. Easy operation and integration of mixing and grinding function makes RTSM-0.2BJ an ideal choice for the pesticide sc lab research. In the exhibition, it is also a star product and has attracted many visitors to check. Agrochem 2018 exhibition will be held on 16-18, October in Shanghai Expo Center. 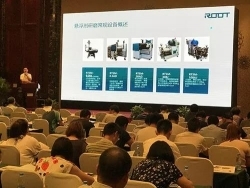 As one of the main pesticide SC grinding horizontal sand mill manufacturer, Root has been invited to attend this exhibition and will exhibited our lab series horizontal sand mill RTSM-0.2BJ and RTSM-0.5AD, industrial horizontal sand mill RTSM-30BJ and RTSM-100AJ. We sincerely wish your attendance and visiting to Root stand. 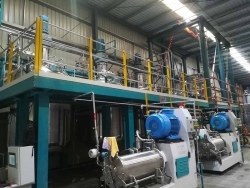 Root new disperse dye sand mill complete production line has been completed on 5th September. 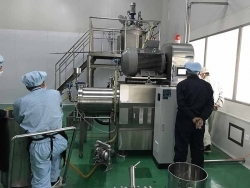 The line contains the raw material feeding system, wet cake dispersing system, disperse dye grinding system (sand mill), and powder mixing and packing system. By fungicide production, many factories starts to pursue nano size finish product with D90=0.5micron. Based on customer requirement, we have supplied four sand mills lines with each line one set of RTSM-50AD and one set of RTSM-30BJ to form a primary grinding and secondary fine grinding mode to help the customer realize finish product D90=0.5micron. 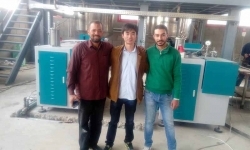 Root engineers finished the installation and commissioning of the 4 sets of lab horizontal sand mill for digital printing ink formulation research. The user is the leading disperse dye manufacturer in China and now start the research of inkjet ink. After 10 days installation working, the pesticide sc production line designed for our Egyptian customer has started its normal working inside their new factory in Sadat city. This production line is a kind of initial small production line with the production rate 700KG/Hr. 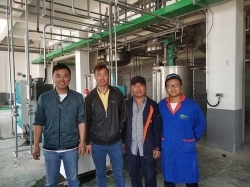 With small investment for one set for high shear vessel, one formulation vessel, and two sets of RTSM-50AD horizontal bead mill, the customer could start to make his own pesticide sc, saving much of his cost than importing from other country. Three days’ 18th Agro Chemical Info Forum went to an successful closure on 10th July. 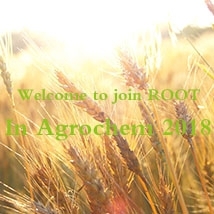 It is one of the biggest agro chemical forums in China. Each year, expert,researchers, agro chemical producers will gather together in this forum to discuss and communicate about the industry development and technical development of agro chemicals. DBC is one of the most famous digital printing ink producers in Asia. In 2014, DBC purchased the first set RTSM-6BJD for their Heat sublimation printing ink production used in Taiwan factory. During the 3year running of the sand mill, DBC is very satisfied with Root’s sand mill’s working stability, grinding efficiency and considerate after-sale service. 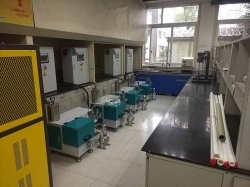 In the year 2017, DBC purchased another two sets of RTSM-25BJD for enlarge the production of disperse dye inkjet ink in their new factory in Mainland, China. 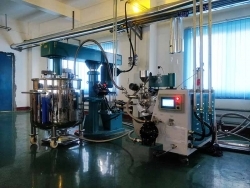 On 10th June, two sets of specially made GMP grade pharmaceutical material bead mill was successfully installed in Qizheng Tibetan medicine company. As for customer requirements, the finish product needs to be nano size to 0.3μm and the full machine needs to be stainless steel for the outer appearance, easy for clean. Annual Celebration of Root’s Birthday ! It is 22nd May again, Root’s 6th birthday. 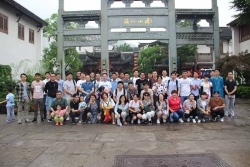 For celebration, Root has arranged a tour to Liyang to enjoy the special Baboo mountain and the fresh forest air for all Root families. After one month’s installation and debugging, Australian Pesticide SC Automatic Line successfully running. Australian pesticide sc line is specially designed SC line for chem pack company. It has 5000T/Year Production Capacity, full line automatic control, no dust and no smell and high efficiency properties. Root Anhui manufacturing Center starts regular production now. The factory has 3 main workshops. 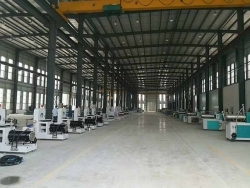 The first one and the biggest one is for horizontal sand mill, which owns the CNC center for high-precision sand mill parts manufacturing. The second one is the workshop of vessels, dispersers, platforms etc. The third workshop is for the production of zirconia beads. Another Years Interdye China ! 2018.4.13，three-days Interdye China has been successfully held in Shanghai Expo Center. 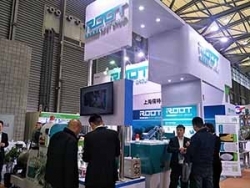 For this exhibition, Root has exhibited super-flow sand mill RTSM-300AJ for disperse dye, vat dye and pigment production, nano size RTSM-6BJD for digital printing ink, inkjet ink, disperse dye ink production. 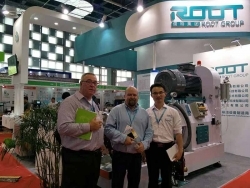 This year Root international department sales engineers has joined the exhibition for the first time. 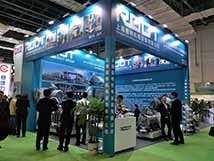 Although it is our first time to join the show and not having a big stand, Root stand still attracts many visitors. Root sand mills, bead mills, dispersers and zirconia beads have attracted many customer to come and talk with the sales engineers. We wish this exhibition will be a good start for Root’s development in Middle East Market. Root is still the bright star in equipment exhibition zone N5. 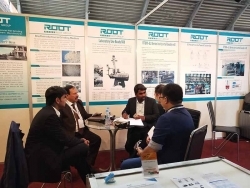 After 5 years development in agro chemical area, Root has become one of the most important equipment supplier in this field, till now Root has supply complete pesticide sc production line, single production sand mill/bead mill and lab research bead mills to more than 500 factories and institute all over the world. Root’s sand mill/bead mill, high shear mixing vessels and complete line solutions has been applied in the production of pesticide SC, liquid fertilizer, seed coating, micron-capsule suspension, and EC etc. Also Root has recommended customers to suitable suppliers for making WDG and WP. CAC 2018 is coming, Root will wait for you at W5K01.This years CAC, Root will shows our newest model RTSM-0.2BJ, new type of lab mill specially design for pesticide SC formulation research. We will also show the updated model of RTSM-30BJ and RTSM-50AD,both of these two types of horizontal bead mills are widly applied in the production of pesticide SC in both China and overseas market. Opening Ceremony for Root Anhui New Manufacturing Center ! 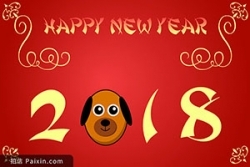 On 19th January, expected opening ceremony and anniversary hold in Lingbi County, Anhui province. All Root family members and their families attend the ceremony.Opening ceremony starts with fabulous local performance of dances and songs. 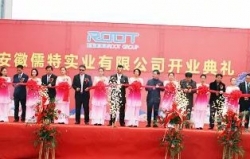 Root invites valued guests from different industries to attend the ceremony and cut the ribbon together. The General Manager of Root Group, Mr. Alex Fan delivered a touching speech to all the Root members and guests who attend the ceremony and announced the start of Anhui new manufacturing center. We believe Anhui new manufacturing center will bring Root to a new level of design and technology and a new era of development.